Our Campbell’s Bay site in Auckland is looking for Programme Assistants, and casuals for our Before School, After School, and Holiday Programmes. The role will support the programme to ensure the children have lots of fun through a wide variety of activities, and the programme operates according to sKids policies and procedures. Full training given; previous experience working with children, a current First Aid Certificate and a full clean drivers licence are an advantage. please note you will be police vetted as part of the roles. 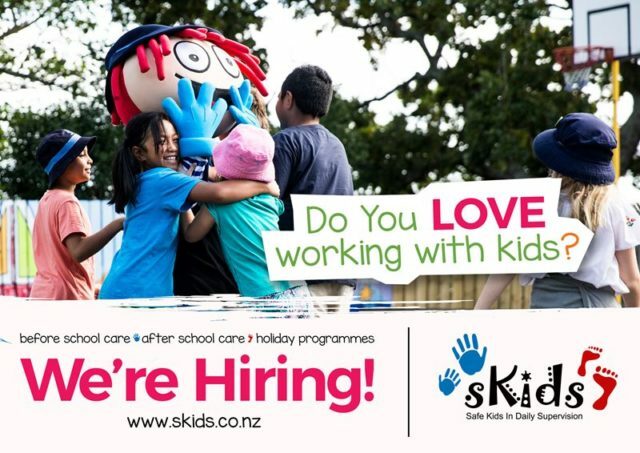 To find out more, interested applicants are requested to send their CV and covering letter to campbellsbay@skids.co.nz ASAP.